Worldwide Business Brokers offers complete appraisal and valuation services, two distinct methods of assessing a business’ value. Businesses need appraisals and valuations for all sorts of reasons: bank and financing purposes, impending sales, estate planning, divorces, partnership dissolution, the death or disability of a major equity holder and the uncertainty of a lawsuit are among them. 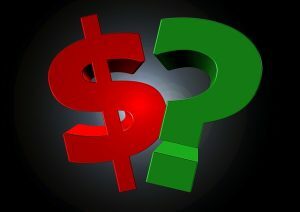 Many owners need a periodic valuation to support life insurance-backed buy-sell agreements among the owners/partners. Some owners simply want an accurate assessment of where they stand; whether they are at the right point on the road to their particular goal or exit. A valuation differs from an appraisal in that the result of a valuation is akin to a commercial real estate broker providing a Broker’s Opinion of Value or Broker’s Price Opinion (BPO). An appraisal is a more detailed report, similar to an appraisal of real estate, that considers precise value of inventory; the current fair market value of a business’ machinery, furniture, fixtures and equipment; the value of contracts that are not yet fully performed; the value of products that are at different stages of the manufacturing process, etc. A valuation can generally be done without incurring the costs associated with esoteric experts. As a rule, such experts are necessary to perform an appraisal. Needless to say, a full business appraisal will cost more – sometimes significantly more – than a valuation and the appraisal has greater legal heft than a valuation. That said, for almost every small and mid-market businesses – those with revenue of up to $25 million or so – a valuation will be sufficient for all examples above with the possible exception of long, drawn-out legal disputes. If you’d like to discuss a business valuation or appraisal, start the conversation with us here.